I love daiquiris. 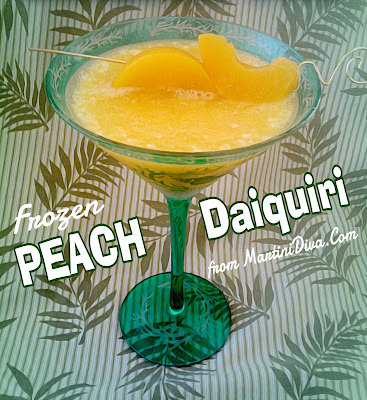 I particularly love fruit daiquiris and one of my favorites is peach because you can use fresh, frozen or canned peaches and all of them are delicious. One of the few canned fruits that I will use are peaches, otherwise I stick with fresh or frozen fruit. This means that no matter what time of year it is, I can have a Peach Daiquiri! 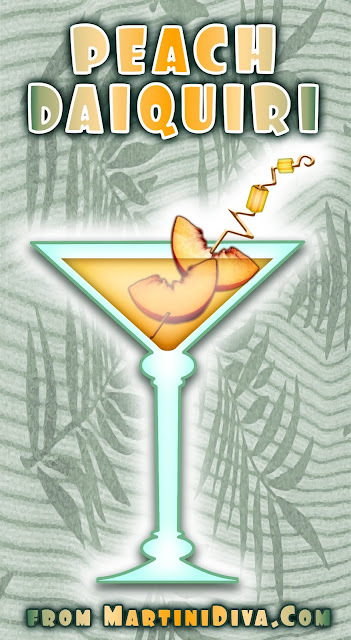 Blend ingredients until smooth, pour into a chilled glass, Garnish and serve.